The natural world is haunted by strange dualities. Just look at some of the leafy vegetation Mother Nature produces. Kale is a healthy detoxifier that boosts the immune system; tobacco is toxic, addictive and in the long run, deadly. More examples of good and bad: spinach and poison ivy; chard and poppies. A more striking and politicized example is cannabis. The debate rages on whether it's good, or the embodiment of evil. The public understands its unique qualities, and many accept or reject it. Occasional users come down squarely in the middle. But little is known about the long-term social and health effects of legal cannabis, now a reality across Canada after the Prime Minister made his pledge years ago. In November of 2012, Justin Trudeau was a candidate to lead the federal Liberal party. A year earlier Michael Ignatieff had resigned, after an embarrassing election performance had allowed cardboard Stephen Harper to appear relatively connected with the Canadian people. Ignatieff had spent about three decades in the United Kingdom and the U.S. as an academic and journalist. During the 2011 election, after he had been parachuted in by party brass five years earlier to barely keep warm an Etobicoke seat in the House of Commons, foreign affairs and human rights were the only subjects he seemed familiar with. His performance was so detached, completely out of touch with most Canadians, that even his own constituents in Etobicoke-Lakeshore, where major local landmarks and intersections couldn’t be placed by the riding’s MP, rejected four more years of Ignatieff. He lost Etobicoke-Lakeshore. He lost the prime minister’s race. His party lost official opposition status and was decimated, left with 34 seats after failing to win even 20 percent of the vote. The Liberal party had been taken over by stuffy elites who knew what was best for us, while Stephen Harper’s big C conservative policies, under his second majority government in a row, were about to push a country that had been relatively centrist, even further to the right. Ahead of the 2013 Liberal leadership convention, where he would pledge to reconnect the party with Canadians and fight on the issues that mattered most to his fellow citizens, Trudeau sat down in front of an assembly of students at Colonel Gray High School in Charlottetown, P.E.I. for a candid talk in the fall of 2012. [Trudeau’s opinion on the touchy subject (of marijuana decriminalization) was the first thing the Papineau MP was asked during a question-and-answer session with English-speaking students at the school. “What’s your thoughts on de-,” said the student, who paused when he appeared to forget the word. “Decriminalization,” said Trudeau, finishing the student’s question for him. “Of marijuana,” added the student. The question sent a wave of laughter through the students. However, from the look on many of their faces, few expected to receive the answer Trudeau was about to give. “I think we have to recognize first and foremost that the war on drugs, as it exists right now, doesn’t work,” said Trudeau, adding that the current system puts criminal records on Canadians who consume the drug, while also allowing criminal organizations to profit from the prohibition. However, Trudeau added that the next step to look at would be legalization. This would take marijuana profits away from criminal organizations and allow the government to tax and regulate the drug. Trudeau added that regulating the drug would mean keeping it away from children, since individuals would have to demonstrate ID before purchasing marijuana. “(Because) you guys aren’t allowed to buy cigarettes or booze either. Because it’s not good for you,” he added. By this point in the response, the student who originally asked Trudeau the question had stopped paying attention to the MP’s answer and began talking to his friends. Trudeau noticed, and didn’t waste the opportunity to point out that while a number of studies have shown marijuana is less hazardous to health than alcohol and tobacco, the drug can also affect brain development if used heavily during teenage years. “And the effect of marijuana on the growing brain is being demonstrated by the muttering in the corner right now,” said Trudeau of the unaware students. Without any support from ministries or criminal justice institutions, without the benefit of hearings on Parliament Hill, without any hard knowledge from the medical and scientific community, Trudeau, a neophyte candidate for his party’s leadership with limited resources and a young team of loyal, enthusiastic workers, set the country on a course to confusion. Fast forward to legalization day, October 17, 2018. Provinces are left to fend for themselves, as the rollout is punted to provincial legislators to figure out. Questions hang over the supply chain. 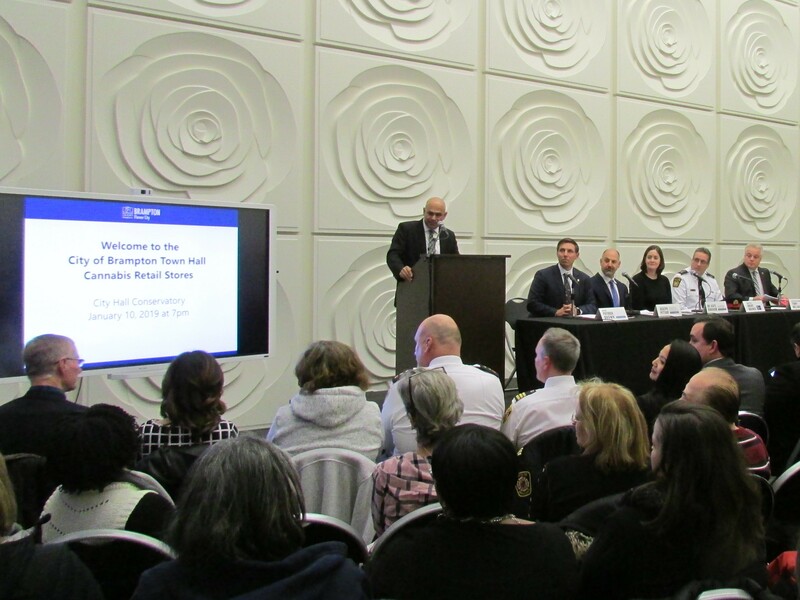 Enforcement is up to local police forces, many mystified about how training, staffing and technology will be put in place in time to deal with a new legal intoxicant hitting the market. Municipal councils in Ontario are told, after a series of flip-flops by Doug Ford’s new government, that the distribution model set by the Wynne Liberals is being scrapped and cities will have to decide if they want cannabis stores, or not. A month ahead of the deadline for the decision imposed by Queen’s Park, municipalities, with brand new councils following local elections in October, don’t even know how many stores the PC government will allow in the province. Meanwhile, a feud (big surprise) breaks out between Ford’s government and Trudeau’s over the national supply of cannabis. The PCs claim, amid reports of widespread shortages and poor federal management, that the newly created legal cannabis market is being pushed into the hands of organized crime (like most things surrounding cannabis, there does not appear to be any statistics supporting or refuting this). 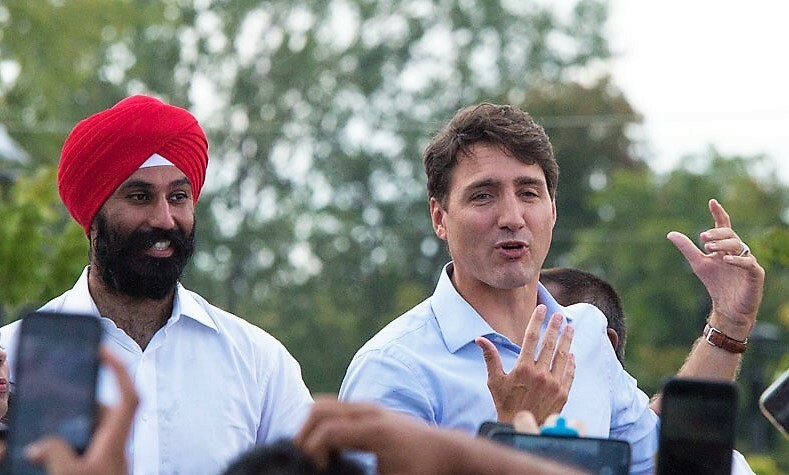 Trudeau denies any shortage and blames Ford for confusion about distribution in Ontario, claiming the premier is bungling the rollout because he was obsessed with undoing the plan already established by his predecessor. 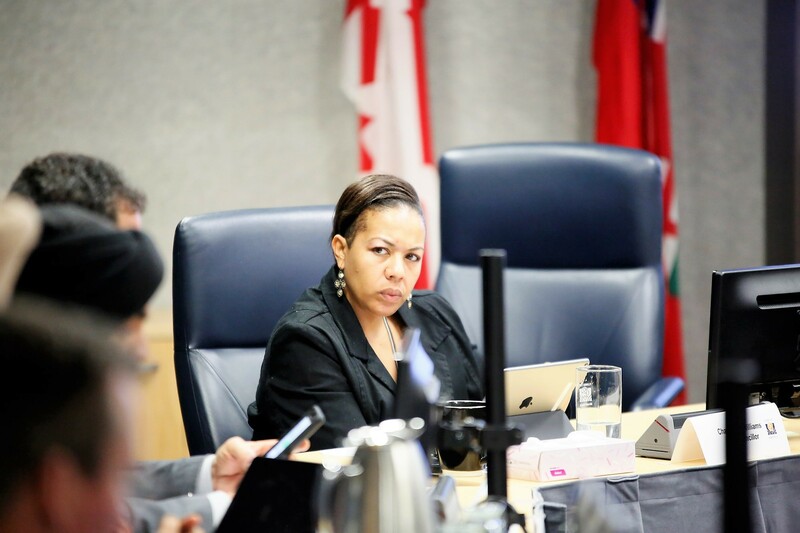 Newly elected council members in Brampton, meanwhile, are dealing with the confusion at the two higher levels of government while trying to sort out their own confusion. A staff report in December recommends the city allow legal cannabis stores to open, citing a commissioned survey that shows a slight majority of residents are in favour. At least one councillor, Charmaine Williams, questions the survey results, which did not include any methodology, stating residents have told her, overwhelmingly, they do not want the stores in their city. 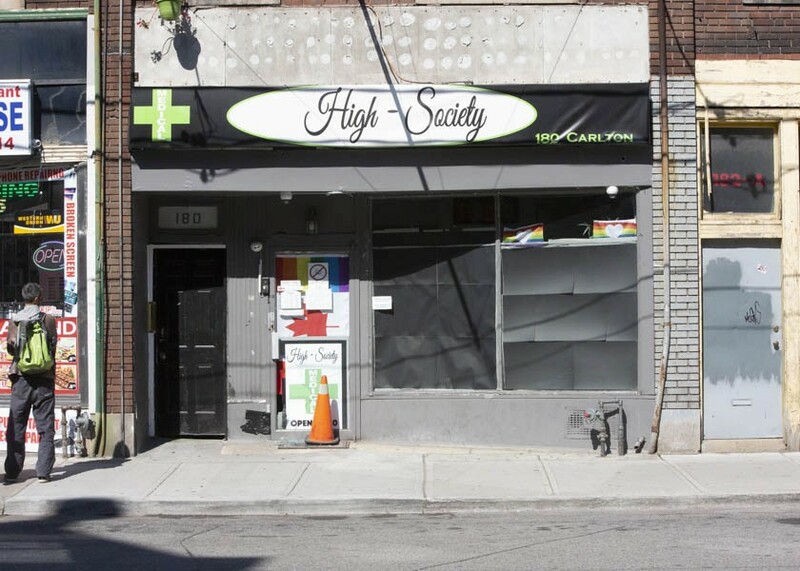 A series of public consultations is hastily put together, ahead of a special council vote called for January 21, one day before the deadline handed down by Queen’s Park for cities to decide whether legal cannabis retail outlets will be allowed or not within their borders. How locally elected officials will pull together mountains of data and research, policing figures and criminology studies, long-term medical analysis and other scientific information in a little over a week, before the decision that’s now on their shoulders, is beyond anyone’s imagination. Wonder if Justin Trudeau was thinking about any of this when he stood before those high school students in Charlottetown more than six years ago, with a half-baked plan to rescue his party. When his Liberals in Ottawa made usage legal they passed on the decision-making process about where cannabis shops are to be located to the provinces, and in Ontario Queen's Park promptly passed that hot political potato on to the municipalities, making them decide if legal retail outlets would even be allowed within their borders. Now, council members, many just-elected, who have owned businesses and worked for development companies and as real estate agents or have never even been employed on a full-time, permanent basis, will be making decisions across the province about the availability of a legal chemical in their communities that we know little about. There are 25 retail licenses for individual stores up for grabs, initially, across Ontario, a laughable number in a province with 14.5 million residents. By comparison, Alberta, with a population of about 4.3 million, has issued licenses for 65 stores, initially. Part of the revenues from sales in Ontario will go to the cities with cannabis shops. Larger municipalities that opt out will also get some revenue from the province to cover expected costs associated with legal cannabis. The funding formula, partly based on population, is another confusing element. So far, the responses have been mixed: Toronto and Orangeville, voted yes, Mississauga and Oakville, no. This vast shaking of the collective soul is felt right across Ontario. Thursday night at the City Hall Conservatory in downtown Brampton, an open forum was held. In a city of more than 600,000, about 150 residents showed, with another 200 joining in online. Having a revenue-producer is an enticing prospect since recent history shows the city needs all the money it can muster to improve its crumbling infrastructure. However, once again, it's unclear if any revenue for the city will even cover all the unknown costs associated with legal cannabis. The yes side argues that Brampton users are getting their marijuana anyway, so why not make it legal, somewhat regulated and convenient for them, and besides, it’s not just recreational users who will benefit. The case was made that cannabis has medicinal upsides for pain sufferers, cancer patients, and others with serious, life-threatening diseases. The no side is just as passionate and questions the morality of it all ­– and how it’s an issue, essentially, about the safety and future of our children. The jury is still out on what damage is caused to the younger generation. Naysayers call it a “gateway drug” which leads to even more addictive, dangerous ones like cocaine, heroin and fentanyl. Besides, does this city need the money that badly? There are administrative costs applied to the shops, too, and just how much money finds its way back to the city coffers is unclear – especially when it looks like supply can’t even come close to keeping up with demand. One of the loudest voices on the no side has been Williams, the new Ward 7 & 8 city councillor. She was joined at the forum by four other councillors, and Mayor Patrick Brown. Williams seems the only one to have tipped her hat on how she will vote, and there’s strong evidence from speaking to councillors since last year’s election, it will be close. While the local debate is loud, confusing and many-sided, there’s also an argument raging across the planet. It has to do with whether cannabis is as safe as some think. It was articulated by two well-known writers recently, one in The New Yorker magazine, another in book form. He points out that the National Academy of Medicine in the U.S. convened a panel of 16 medical experts to analyze the science and issued a 468-page report in 2017 that he distilled down to this conclusion: cannabis, the most favoured drug of choice by North Americans, is still shrouded in mystery. Is it okay to use, or will it do extensive damage – especially to children? Gladwell drills into the report to ask even tougher questions: Does it really treat pain or ease the suffering of cancer patients; does it help those with a myriad of other maladies; is it a cure-all for anxiety, depression, and everything in between; and does it cause mental health issues? There are no conclusive answers, and it gets hazier when it comes to how cannabis affects specific cognition. Is it worse than alcohol? Will it affect other types of achievement, hurt the brain development of teenagers, be shown as a danger to pregnant women, or breast-feeding mothers? The medical panel looking into the drug are checking its “pharmacokinetic and pharmacodynamics properties,” plus its dosages. Gladwell makes the point that the THC (the psychoactive element in it that gives you a high) is much stronger in today’s cannabis than it was during the counter-culture days of the 1960s when hippies turned pot use into an art form and terms like smoked-up, stoner, pot-head, and druggie entered our lexicon. The actual properties in the pot being inhaled back then was light, in comparison to the THC component being pushed to users these days. The psychoactive ingredient in many cannabis products has more than doubled, Gladwell writes. Little is known about the health consequences. In Canada, this can be used as a strong argument for legalization, as federal regulations state: the quantity or percentage of THC, THCA, CBD and CBDA (chemical substances contained in cannabis) have to be tested before product is allowed to enter the legal market. Testing criteria and the results of private suppliers whose cannabis has to be tested, are also on the federal government website and are updated when samples are evaluated and scored. Critics argue that no amount of testing in the legal supply chain can guarantee chemical thresholds and prevent long-term effects of cannabis use. Gladwell writes that with conflicting evidence, countries are stymied by debate, and trying to muddle through with legislation – Canada is the latest example. Which isn’t something Alex Berenson wants to hear, especially since he’s the father of young children. The author of the recently published book, “Tell Your Children: The Truth About Marijuana, Mental Illness and Violence,” was like most observers of the pot culture – disinterested, until his wife, a psychiatrist who treats mentally ill criminals, told him there might be a connection between cannabis use and violence. 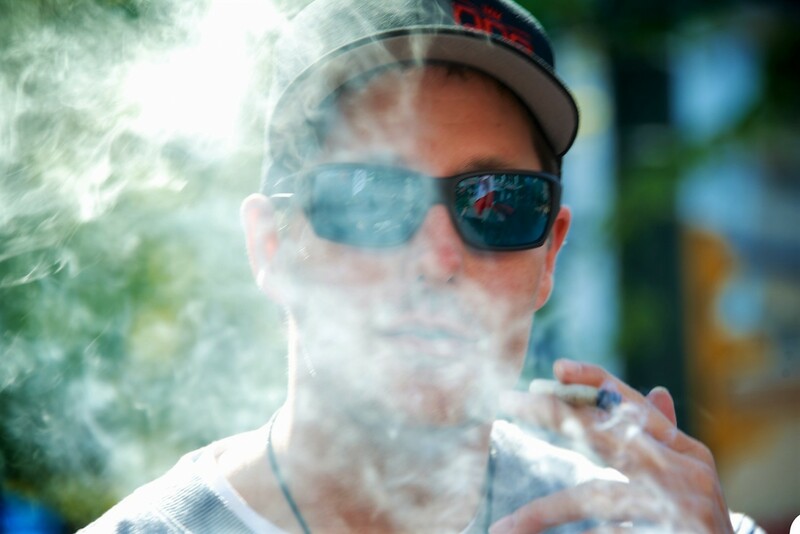 His previously held layman’s view of cannabis (that its effects are largely benign) flip-flopped. “Many people with serious psychiatric illness smoke lots of pot,” he told Gladwell. Berenson said pro-pot lobbyists think smoking it is a response to mental illness, not the cause of it. But his own search found the opposite: “Cannabis use is likely to increase the risk of developing schizophrenia and other psychoses; the higher the use, the greater the risk,” he said. Ah, yes, prohibition. It was introduced to the U.S. in 1920, and a nationwide constitutional ban on the production, importation, transportation, and sale of alcoholic beverages continued through 1933. The banning of booze not only didn’t stop its use, but turned into a giant opportunity for clever Canadian hooch producers plying their trade just across the 49th parallel. The high-proof refreshments like grain-added 40-proof rye whisky made at the Hiram Walkers’ distillery in Windsor, or by Montreal-based Sam Bronfman, the scion of the Seagram’s label, was the alcohol that fueled the Jazz Age. Bronfman, lovingly known as “Mr. Sam,” always had an eye to the main chance. He built his fortune on the illegal exportation of booze to the rum rows in New York and New Jersey. He made alcohol runners and business icons like Joe Kennedy look like small-time bootleggers. If it wasn’t for Hiram Walkers and Mr. Sam, there might not have been flappers or Gatsby-era parties or gangster-era thugs like Al Capone. The Canadians (including Sleeman Brewery) kept the Yanks tipsy when the stock market tanked in 1929 and survivors needed a drink to fortify themselves and stagger through the sobering Depression Years. Distillers understood the laws of supply and demand, and the only downer was passage of the 21st Amendment, killing Prohibition. It fostered a massive industry under the control of organized crime. Drinking in speakeasies became increasingly fashionable, and many mothers worried about the allure alcohol and other illegal activities associated with bootlegging would have over their children. Are there parallels to today? A point made by supporters of cannabis outlets in Ontario. Illegal distribution gives money to criminals. Others say forcing it into a legal market makes cannabis more expensive for those who are going to use it anyway, and may be pushed back into the illegal supply chain because of its lower cost. It’s clear something else is at work here: the law of unintended consequences. When the State of Colorado legalized marijuana a few years back, many practitioners were on a high. Then a troubling statistic was released by Colorado State Police. Marijuana-related deaths from traffic accidents jumped by 32 percent in a year. Cannabis was a factor in 20 percent of traffic deaths, doubling up on the numbers from the pre-legal marijuana era. More troubling, was the fact that unlike taking a measure of the drug-alcohol level in the bloodstream after drinking alcohol, there was no 100 percent way of testing for the amount of intoxicating chemical ingested from cannabis use in a person’s system. There was no equivalent to a breath-analysis machine, either, and it might take years for one to be invented. The Centre for Addiction and Mental Health (CAMH) has numbers to show teens are more likely to smoke-up-and-drive than drink-and-drive. And MADD (Mothers Against Drunk Driving) is unsure how the passage of cannabis laws will impact the numbers going forward. A survey taken over a 17-year period (1995-2012) showed deaths initiated by drinking drivers dropped nearly in half. We will have to wait and see if legal cannabis impacts the number of traffic fatalities and injuries across the country. With parts of the U.S. and Canada gripped by a serious opioid crisis, and the import of semi-synthetic drugs like crack-cocaine and fentanyl on the rise in many parts of North America, the cost of drug usage in terms of societal damage has yet to be measured. In Berenson’s book, he tries to prove the cannabis-psychosis linkage by talking about a man now serving a 35-year sentence in a Colorado prison. He ate a THC-laced candy bar and killed his wife. Cherry-picking cases and using scare tactics like the one above are rejected by Dr. Nathan. The days of marijuana being demonized in films like Reefer Madness (1936), or showing its over-use as cool and funny in Cheech and Chong’s Up in Smoke (1978), have been replaced by a more realistic, forgiving approach to drug use. Some say, even if they didn’t have all the answers and the rollout of legal cannabis has been rocky at best, Trudeau’s Liberals simply gave much of the public what it wanted. But it’s clear during this year’s election campaign that if even one person dies at the hands of a driver high on cannabis or if a murder case involves the use of legal marijuana, Andrew Scheer’s tough-on-crime handlers will no longer need black ops on Trudeau, with plenty of leafy green fodder to bring him down. That’s how tenuous legal cannabis in the country is. No one really has any idea how the federal policy will play out — politically, legally, medically or morally. We are in one big “I just don’t know" moment in the country’s history. Politicians don’t know how legal cannabis will play out. The hyperactive market makers on Bay Street, convinced legal cannabis is the real deal, the big thing, even bigger than crypto, don’t know. The experts and so-called experts don't know. And the public doesn’t know. Shooting from the hip seems to be the way forward, and it seems like we’re living in the Wild West. Will well-regulated cannabis shops cut down on organized crime and kill the black market for illegal sales? Will Brampton improve its financial well-being, while keeping the city safer, by embracing marijuana shops? Is it simply time to embrace legalized pot as the law of the land? Those questions will be decided by council when it votes on January 21st. The public gallery will be packed with interested parties from both sides. The debate will be heated, and the gallery voices pushing for a “yes” or a “no,” will be loud and clear. Are there serious lows in getting high? Are Bramptonians ready to see legalized cannabis sold inside its borders, like Toronto and Orangeville? Or will council vote down the issue at a meeting in just over a week? Councillors are clearly in a tough spot. Whatever way they vote, they face an angry portion of constituents. For that they can thank Trudeau and then Doug Ford for downloading a confusing, incredibly complex issue, with serious medical and social implications, on them. It’s another example of how the passage of a law can have unintended consequences.